A professionally written resume will significantly improve the words, organization, and design to highlight your strengths and create an important first impression. 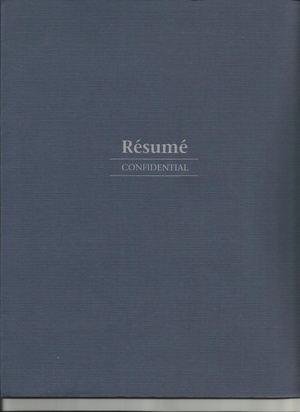 Resume writing can be a difficult task. You either fall short on stating your accomplishments or overrate your importance. Coming just exactly in between these circumstances to make it appear you are comfortable in “selling” yourself is the talent that has been well-mastered by our resume writers. GenPro Resumes offers a professional, effective resume writing service at reasonably affordable prices. We focus on producing a professional resume, with relevancy, a dynamic format and written with the ultimate goal of landing an interview. We assist you to take control of your future with a clear, concise, and compelling resume. We build and write powerful resumes, personally crafted according to your individual characteristics. We thoroughly analyze your information. With a detail on facts and clarity, we clarify the information you provide through an interview process of our own and follow up with e-mail and phone conversations to make sure we have everything we need to provide you a professionally written resume. We treat our clients special and we commit ourselves toward good customer service because your satisfaction is our measure of excellence. In our effort to meet your expectations, we provide you with unlimited revision until we come up with a final resume the way you want and need it. We want you to be confident in presenting your resume to your prospective employer, which would consequently lead to a successful job interview. Are you confident or stuck in your executive career? Your professional cover letter may make the difference between obtaining a job interview and having your resume ignored.